Still, the most useful and used app when traveling, either to a different continent or to that new pub in your neighborhood that someone told you about. It used to be more complicated without an Internet connection. In those days you would see the blue circle (the GPS is free and works offline) but no images in the background. There was still a solution: navigating the area of interest when you were online, and the app will keep those images in the cache. But good news! 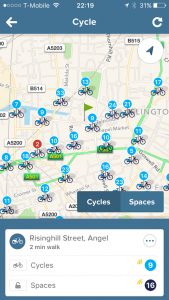 In newer versions, you can download an area to navigate offline. Tip: save your places of interest beforehand (see the button on the first image) and you will see a star on your map (see the second image, although it is a different place). In my opinion, it is one of the best apps in the market nowadays. 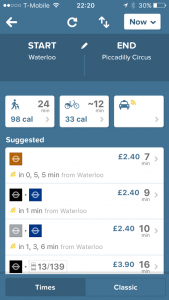 Offers a really smart journey planner with information about departures, disruptions, alternative and cycle routes, prices, Uber integration, and more. It even tells you in which part of the tube you should get into commute faster. The downside is that they focus on complex cities so check the list. You can also use it via the web browser. Tip: use the three tabs at the bottom. City to find maps and fast information about the status of all kind of transport; Go to get directions to any place you need; and Near to see the options you have close you. Good and very easy to use app. Forward your confirmation emails to [email protected] and you will see the itinerary in your app. 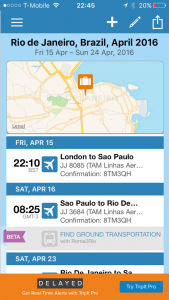 It will show you detailed information about your flights, and also about car rentals and hotels. The pro (paid) version offers check-in online for some companies and more. 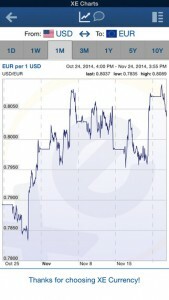 Currency conversions on the go. It can convert any currency in the world. It remembers the last rate if you are offline. It also has historic values and some business-oriented features. Avoid expensive taxis, paying by cash and walk around for a car. 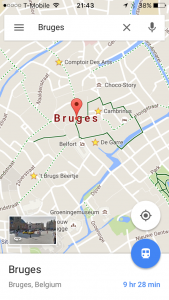 You search for a taxi in your current location and it tells you the waiting time. 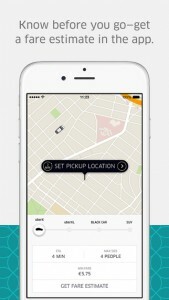 Once requested it will show you the name and a picture of the driver, and you will see the car on the map. You indicate the destination and the money will be debited from you nominated card (no payment in the car at all). 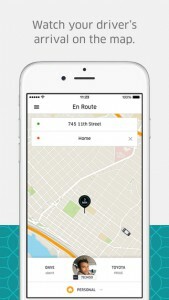 You can get an estimated fare in advance, select the type of car, split the bill with friends and even use UberPool, where you can share the car (and the bill) with another rider. Check its availability by city. Tip: drivers can increase the price during peak times, so check if you see something like 1.5X before requesting the car. 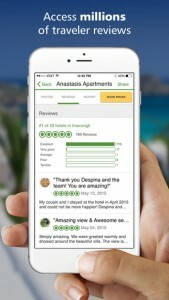 The app from the famous website to list and rent accommodation. 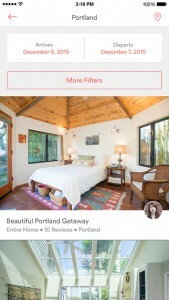 It has over 1,500,000 listings in 34,000 cities and 190 countries (airbnb.com). Overall, you can find better places for less money, and a personal atmosphere. And some hosts are wonderful: they could give you unique information about the place, useful tips, and tricks, breakfast, and even invite you somewhere, or offer a free tour. You can find plenty of articles about hostel vs rental services: 1, 2, 3, 4. Tip: not all places are Instant Book, so make sure your application get accepted and confirmed. The best app for cost sharing. 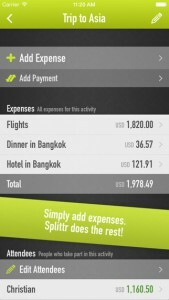 Simply add expenses from you and your friends, and the app will tell you who needs to pay what to whom. 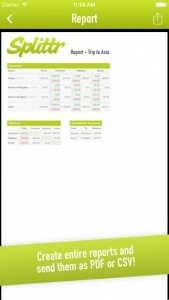 You can generate a detailed report and email it to your friends. 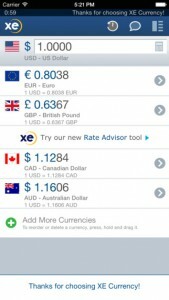 It works offline, no login is required and you can mix currencies (no need to apply conversions). Especially good for traveling, but also for household or nights out. It cost £1.49, but there are some free alternatives such as Splitwise, Tipulator, and more. 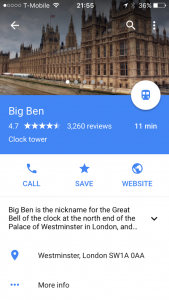 Search engine to compare flights, hotels, and car hire. Normally I use it for flights, and it really looks for hundreds of airlines in seconds. There is no commission at all. Other apps/websites like edreams are tricky and can increase the net price in the last step of the process. 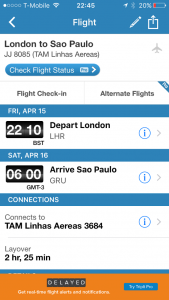 This app redirects you to the airline/agency without adding any cost at all. 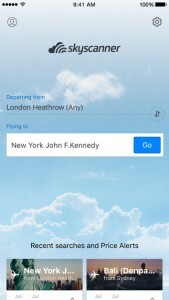 I have not found a better app for booking flights. 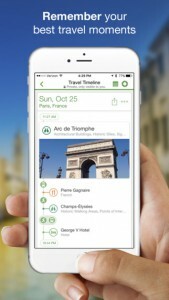 Tip: use the filter to change the departure time and number of stops. You can also set up alerts to monitor prices. 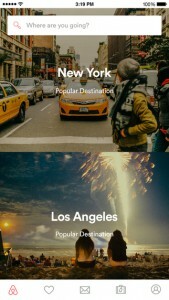 The app from the famous and pioneer website for travelers TripAdvisor. They have “200 million+ unbiased traveler reviews” (tripadvisor.com). Very handy to check reviews, comments and ask questions to the community. 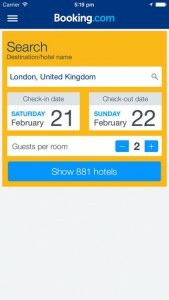 The mobile app lets you save and find places near you: hotels, restaurants, things to do and holiday rentals. Another app from a well-known website. 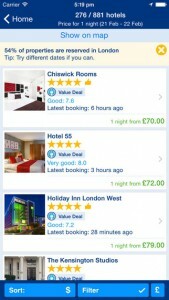 Search and compare prices for hotels, apartments, villas, b&b and guest houses. It is hard to think of a hotel that cannot be found here. You can get instant confirmation, paperless check-in, and even offline maps on your phone every time your book. Livetrekker: creates a digital journal of your trip. Moves: tracks your activity every day in a very simple way (distance, calories, places). NearMe: find places near your by category (pubs, restaurants, etc). SeatGeek or Songkick: find gigs and other events and buy tickets. CouchSurfing: a social network to stay with locals for free and share accommodation. 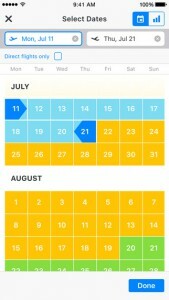 Jet Lag Calculator/Advisor: get advice on how to reduce jet lag. It’s not an app but two useful links to know: BA Advisor, JetLagRooster.